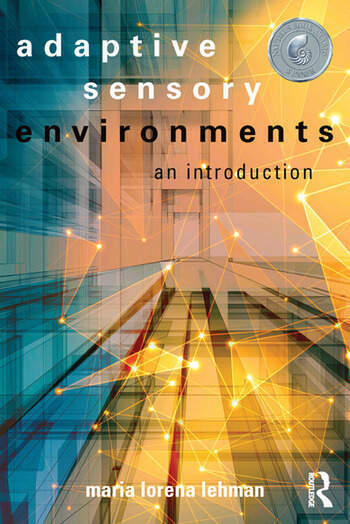 Adaptive Sensory Environments: An Introduction presents a cutting-edge methodology for adaptive sensory design by fostering an inter-disciplinary approach in which aspects of neuroscience, biophilia, captology, nanotechnology, kinetics, and sensemaking all play critical roles in helping adaptive architecture "tune" to occupants. Furthermore, the book illustrates how adaptive sensory environments transform and uplift quality of life in entirely new ways, by strategically unlocking the potential that technological innovations bring. By teaching scholars, researchers, practitioners, specialists, and consultants how to design architecture that guides what emerging interactive technology can do, it allows them to see deeper into an architectural design, to extend beyond interaction and, ultimately, to build environments that adapt by changing and growing with their occupants’ immediate needs and long-term goals. Maria Lorena Lehman is the Founder of the Sensing Architecture ® Academy. She is recipient of the Harvard University Digital Design Prize, and holds degrees from both Virginia Polytechnic Institute, US and the Harvard University Graduate School of Design, US. Lehman is internationally published and in numerous periodicals, including Architect Magazine and Forbes. To learn more, visit SensingArchitecture.com.